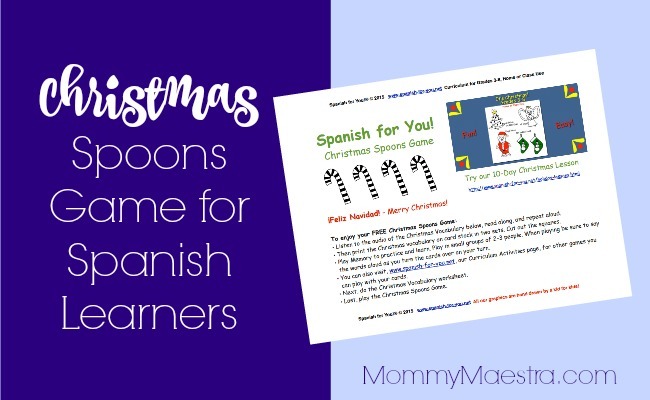 With Christmas less than two weeks away and it provides an excellent opportunity for developing your young Spanish learner's vocabulary. Luckily, our sponsor Spanish for You! has created a super fun activity to help you! This month's download helps them learn and practice key phrases associated with Christmas. This printable activity teaches key vocabulary associated with the holiday. The 4-page download comes with vocabulary cards, worksheets, and directions. Not sure of the pronunciations? No worries! It also comes with the audio to help you with the pronunciation of each word.